Our current travels are reinforcing the evolving nature of product stewardship. After recently highlighting the evolution of established programs in Canada, we are now seeing evolution of New Zealand’s e-scrap program and the need to better understand how the chemical industry and related players are viewing product stewardship globally. I am currently in Singapore for the Asia Pacific OH Conference led by the American Industrial Hygiene Association (AIHA) and recently-formed Product Stewardship Society (PSS). As part of a professional development course, I presented on Australia’s chemical assessment and notification requirements in addition to outlining global developments in product stewardship. The presentation will be made available for members on the GlobalPSC Knowledge Base. The GlobalPSC is a supporter of the event as part of our ongoing outreach within the Asia Pacific region. It also provides an excellent opportunity to better understand regulatory approaches within Asia and to see firsthand how chemical industry giants such as BASF, ExxonMobil Chemical, Shell and others view and implement a version of product stewardship that is different than what most of our colleagues traditionally consider to be product stewardship. We have long said that product stewardship encompasses broader sustainability issues and entire supply chains. Considerable resources are being directed to a form of product stewardship that is focused on toxicity, risk assessments, hazard reduction and notification requirements that can span 30-40,000 or more products, such as the European REACH requirements. 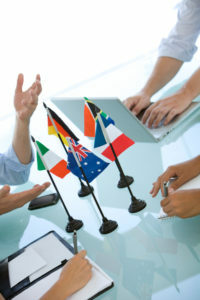 Fundamental commercial issues such as ability to introduce products into global markets are hot topics of conversation. The focus is not necessarily on traditional considerations such as end of life management, product recovery and costs to local waste management and recycling programs. While ‘our version’ of product stewardship may seem to pale in significance when billions of dollars are at stake, as we see the continued evolution of supply chains there are potential impacts on material substitution, hazards and toxicity (some of the traditional concerns of producer responsibility) that warrant bringing these different views of product stewardship together. We are actively exploring areas of collaboration with the AIHA and PSS to help do so. We will be providing more detailed analysis of this event for GlobalPSC members, in addition to highlights from next week’s discussions in Taiwan and Electronics Recycling Asia the following week back here in Singapore. One of the GlobalPSC’s longest-serving members, WasteMINZ, conducts an annual conference that serves as the main gathering of the waste and recycling industry in New Zealand. While product stewardship has been a regular theme, its importance was highlighted more in this year’s event than in the previous several years the GlobalPSC has participated. This year, we were invited to speak on e-scrap, global developments in product stewardship and voluntary vs. regulatory approaches to product stewardship. Interest in the topic and the importance of GlobalPSC members was especially evident in that speakers also included GlobalPSC members Lion, Infoactiv, Sustainability Victoria, eDay New Zealand Trust and 3R Group. In addition, Liz Goodwin of the UK’s WRAP program joined us, and the New Zealand Ministry for Environment was well evident in attendance. To date, the New Zealand government has focused on a voluntary approach to product stewardship, featuring the accreditation of nine programs to date. In addition, the government has provided funding to assist in the establishment of collection points for e-scrap and a public education campaign on the program’s availability for consumers. However, pressure has continued to build for a more traditional product stewardship approach for e-scrap in New Zealand. The GlobalPSC and several members, including recycler TES-AMM, were asked to participate in initial discussions on such an approach and to share lessons from the development and implementation of Australia’s National Television and Computer Recycling Scheme as well as other international programs. A New Zealand approach won’t necessarily be easy, but it is doable. Australia’s hurdles of low population and market influence, recovery volumes and high logistics costs are further exacerbated in New Zealand. However, a shared e-scrap standard with Australia and key players active in both countries provide a good basis for collaboration. A fresh approach to actively engaging these key stakeholders, improving on some pre-existing relationships, moving forward from the blame game and building upon existing infrastructure and material flows will be essential first steps. We are seeing an especially strong response from members and other interested parties to the priority product stewardship workshop that the GlobalPSC is holding 18 November in Australia. The workshop features GlobalPSC members PaintCare, Call2Recycle and the Product Care Association. Panel participants will also include GlobalPSC members representing the Australian paint industry and the state governments leading efforts to develop product stewardship initiatives for batteries and paint, Queensland and Victoria, respectively. We’ll have speakers from four countries addressing paint, batteries, household hazardous waste and a range of other products as part of the GlobalPSC’s facilitation of national product stewardship approaches for batteries and paint in Australia. We are lucky to have these global leaders on product recovery making themselves available to share their insights as Australia seeks to evolve several product stewardship initiatives. Thanks to our principal speakers and other members TES-AMM and DHL Supply Chain, we can make the workshop available at no charge for GlobalPSC members. However, registration is necessary so let us know if you’ll be able to join us.